My Smokey Italian Salad Bowl has recently become a favorite in my house; this salad bowl is a hearty salad bowl that is packed full of protein. With the beginning of the year, I have tried to work on losing weight. I try to count calories, and I try to make sure I get enough protein. I find if I eat enough protein I am less likely to have cravings. Making a large bowl of salad packed full of grilled chicken I find that this is an excellent way to address my hunger issues with watching the calories. What makes my recipe is particular is one secret ingredient. Liquid smoke, it adds a touch of flavor. 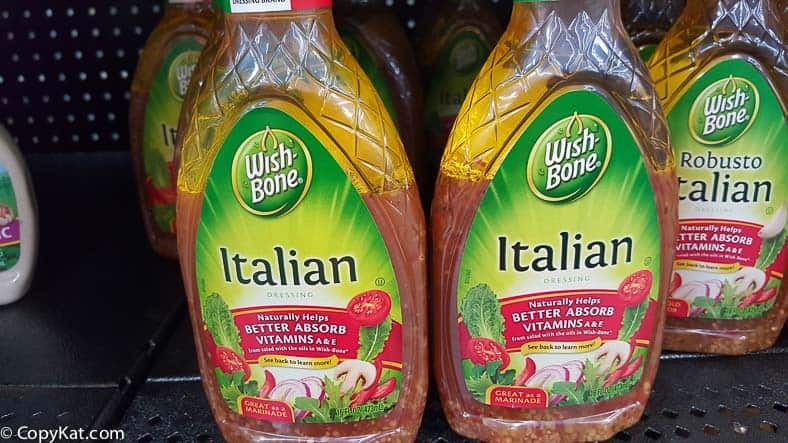 It can quickly transform a salad dressing into something amazing. To make a hearty salad I have added some fresh tomatoes, almond slivers, crunchy noodles, and some red onions. You can quickly put this salad together. One thing is for certain you can put together a tasty salad that is filled with protein quickly, and you can do so on a moment’s notice. The hint of smoke makes this salad perfect! In a large bowl add lettuce and toss in the cilantro. 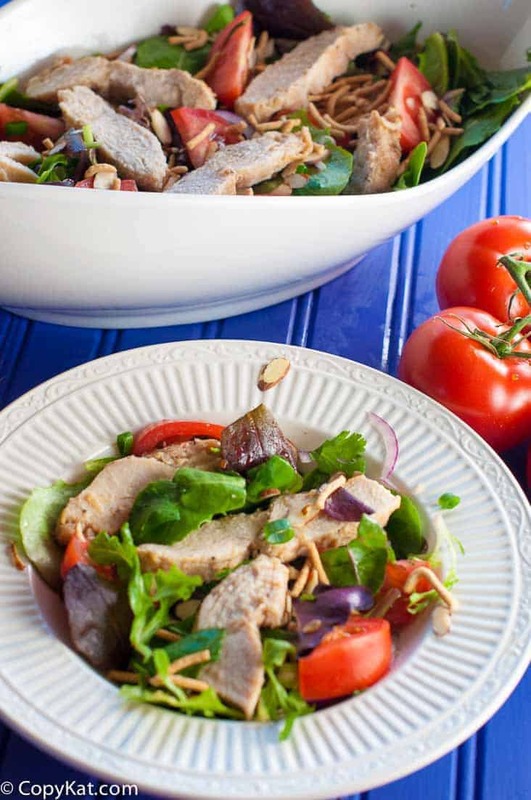 Top salad with almonds, rice noodles, red onion, and ounces Tyson® Grilled & Ready® Chicken. In a small bowl combine salad dressing and liquid smoke. Drizzle over the desired amount of salad dressing over the salad. I loved the addition of the liquid smoke in the salad dressing. I wanted to serve it in our reunion party. I strongly agree with the commentator about high fructose corn syrup. 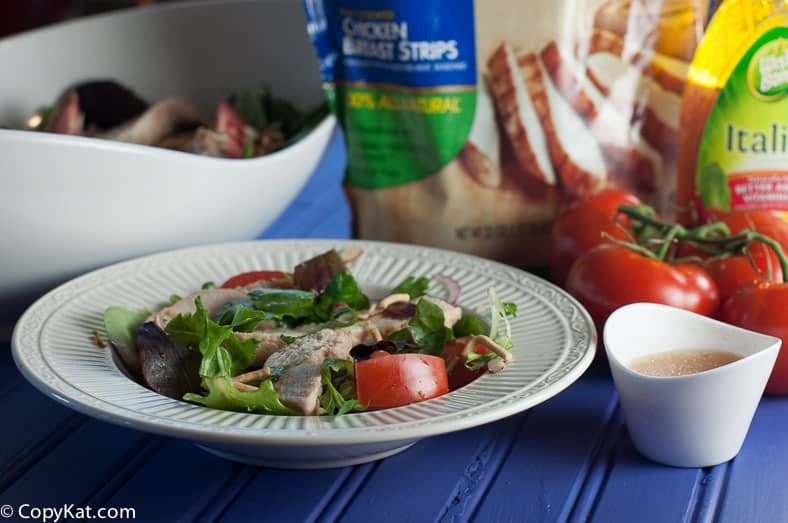 It is so much better to make your own salad dressing than to resort to the worst carb for you! 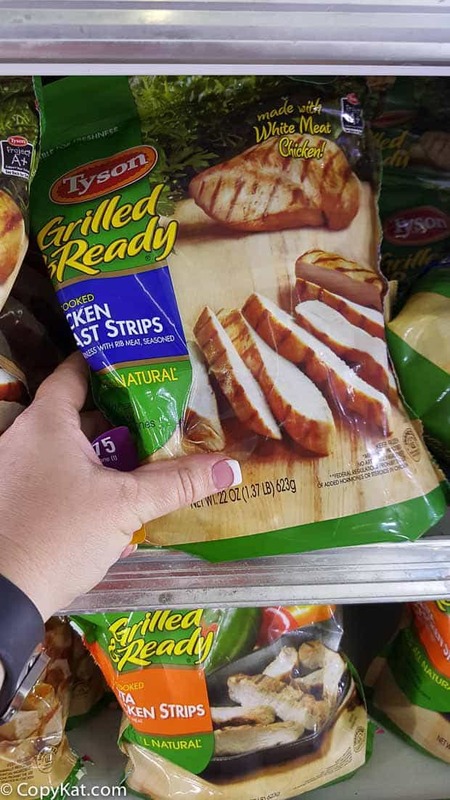 I like the idea of chicken already made, a great time saver.